"Americana" Guitar Patch- Sunday Guitar MainStage Demo! David from Sunday Sounds demonstrates the "Americana” patch included in Sunday Guitar. This patch is designed to give you a rich, full electric guitar tone and its perfect if you are looking to transition from acoustic to electric. The tremolo pedal gives your sound some movement and texture, you can dial in a custom rate, or just have it sync to the patch tempo. The tonic pad generator (included in Sunday Guitar) is running in the background and really helps to glue everything together, especially if you do not have a keys/pads player. 🎸48 patches to help jumpstart your creativity. From clean, shimmery reverb presets to overdriven rock tones, and everything in between, including acoustic guitar patches! 🎛 User Friendly Interface designed with the performing musician in mind! Sunday Guitar is pre-assigned to the iRig Blueboard bluetooth midi controller. Cycle up/down through patches, use tap tempo, and activate the tuner without ever taking your hands off the guitar. With the addition of an expression pedal you can take control of ANY parameter within the template or use it as a volume pedal for swells and dynamic control. ▶️ TONIC Ambient Pad Generator plays an ambient pad in the key of your choice with the touch of a button. Simply select your key, dial in the character of the ambient pad via the XY transform pad and press "On." 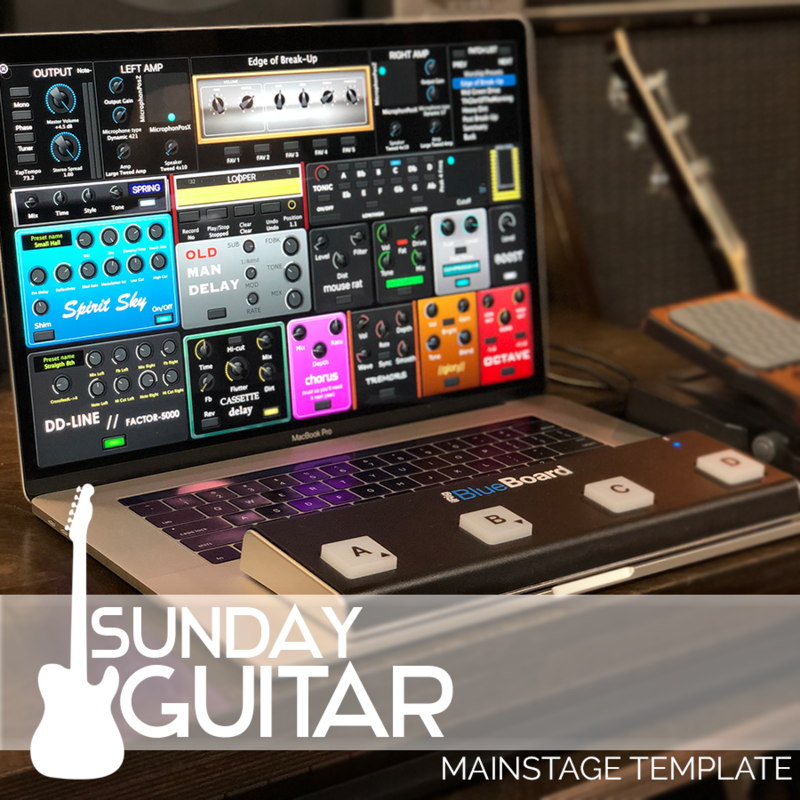 The Tonic drone feature in Sunday Guitar is a great tool for ambient explorations during a solo jam session and the perfect way to fill out the sound of your live band, especially if you're short on keys/synth players. 💻 Super simple installation process and comprehensive video tutorial/resource page.